Liverpool: Liverpool captain Jordan Henderson is confident Mohamed Salah will not be lured away from Anfield in the same manner the Egyptian was tempted from Roma last year. 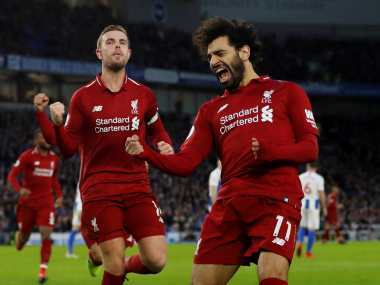 Salah has surpassed all expectations since his then-club record 42 million-euro (£37 million, $52 million) move back to the Premier League last June and will face his old club in the first leg of Liverpool's Champions League semi-final on Tuesday. An incredible return of 41 goals in 46 appearances saw Salah crowned the Premier League Players' Player of the Year on Sunday. 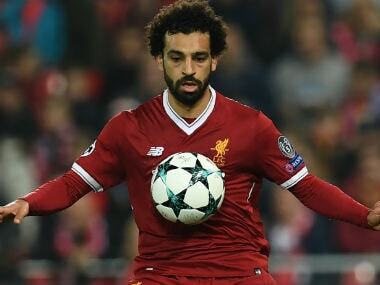 However, unlike Liverpool stars of recent seasons such as Luis Suarez and Philippe Coutinho, who were attracted by the glamour of a move to Barcelona, Henderson hopes Salah is convinced to stay by the growing momentum at Liverpool and the belief they can compete for major trophies under Jurgen Klopp. "He's a fantastic player, obviously he's up there with the world's best and there will be other clubs that want to take him away," said Henderson. "But he's in a great place with a great set of lads, great team, with a great manager, going in the right direction. We want to create our own history here and I'm sure Mo will want to be part of that for many years to come." Roma co-owner James Pallotta recognised this week that Liverpool didn't even have to beat off much competition to Salah's signature, as he had only shown inconsistent flashes of his full potential in two years in the Italian capital. Klopp is credited with finding the system to bring the best out of Salah. And having led Liverpool back to the last four of the Champions League for the first time in a decade, Henderson said his team-mates feel "privileged" to work with the German. "He's one of the best managers in the world. First and foremost tactically it goes without question how knowledgeable he is within the game, you can see that in the performances, the style of play and how we play football," he added. "Off the field he's a fantastic human. Very genuine, has a great passion for football and that transcends throughout the team. "He always keeps you on your toes, always looking for more, he never wants the standards to drop no matter who we are playing. He's an amazing manager and everybody in the squad feels privileged to be working with him." Roma have had to wait even longer for a European Cup semi-final with their last appearance coming 34 years ago when they beat Dundee United but went on to lose to Liverpool in the final. 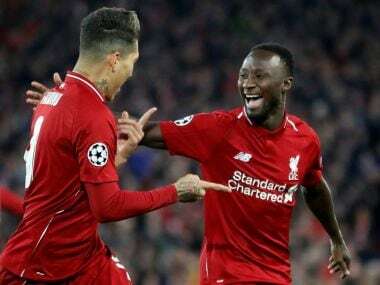 The manner in which they reached the semi-finals even outshone Liverpool's 5-1 quarter-final thrashing of Premier League champions Manchester City as Roma came back from a 4-1 first leg deficit against Barcelona thanks to a 3-0 second leg victory masterminded by Roma's own impressive coach in Eusebio Di Francesco. But apart from their physical similarities, Di Francesco – who is making his debut as a coach in the Champions League this season – believes he has a long way to go to earn comparisons with Klopp. "As Klopp mentioned there are similarities in that we both wear glasses and have a beard," he joked. "But I very much like his outlook. "I am concerned we play a team coached by such a great manager. Klopp has proved himself, has won already titles, but I have great ambitions."